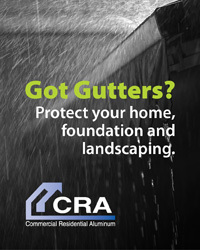 If your project requires a new or expanded foundation and CRA has you covered from the ground up. Each project starts from the ground up. 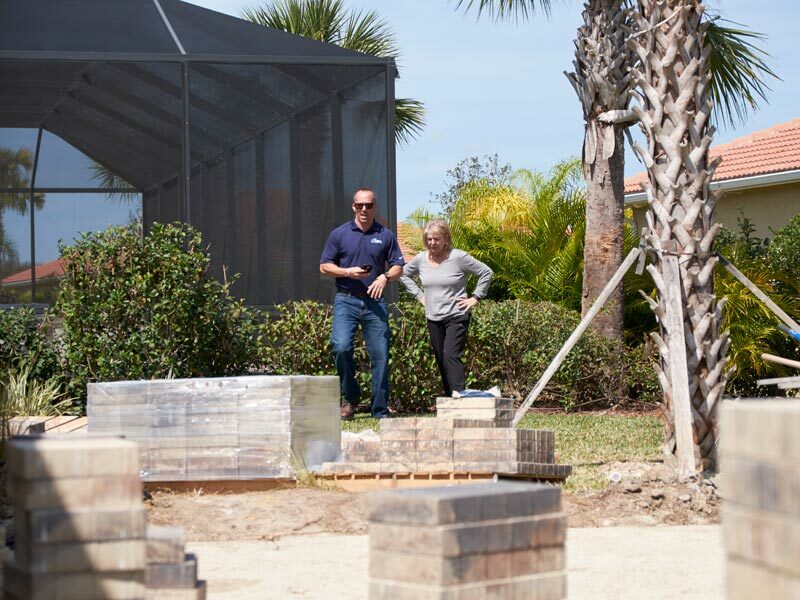 If you are expanding your cage or enclosed patio, a foundation must made to support your structure. As with most construction, the quality of this foundation predicates the overall quality of the project. Typically there are three types of foundation associated with most projects. Concrete Slab – a 4” thick monolithic slab is poured and used as the foundation for screen enclosures. 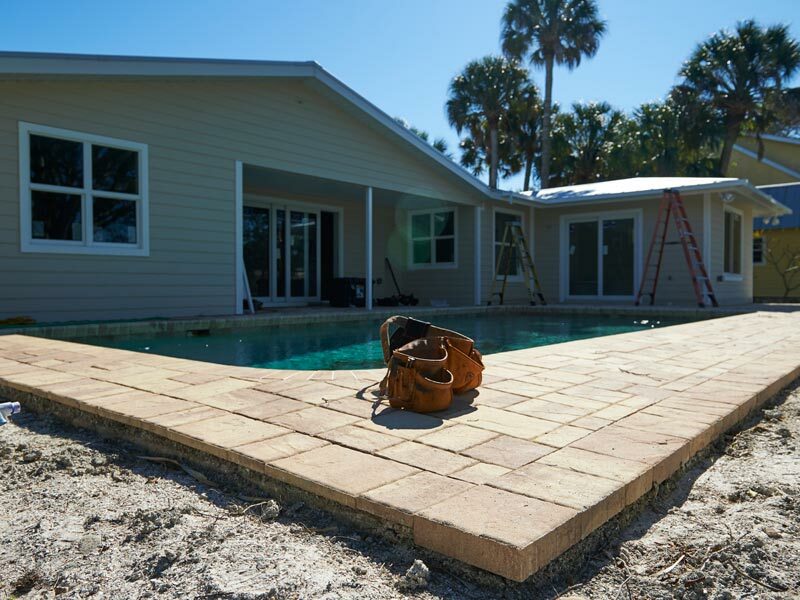 This concrete is common for smaller lanai screen rooms and expansion projects when it can withstand all county weight-pressure standards. CRA then offers you a variety of decorative options including special finishes, paints, textures. 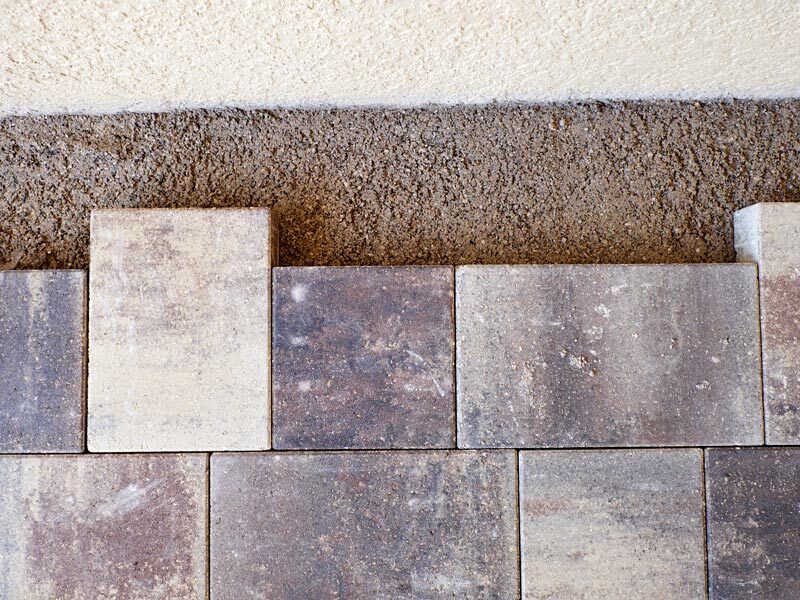 Tile or pavers are a very popular option and usually applied over your slab. 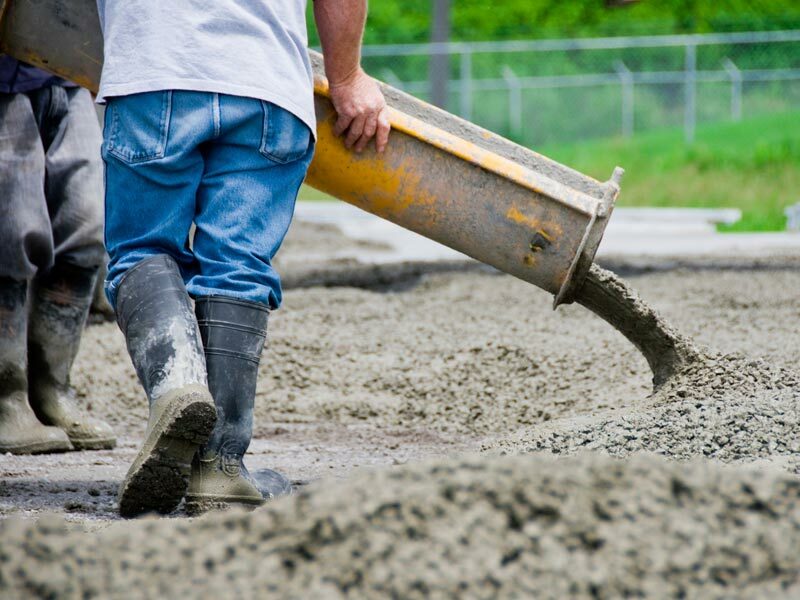 Footers – used when a larger cage is built that requires more foundational strength, typically in conjunction with a concrete pad but sometimes without. 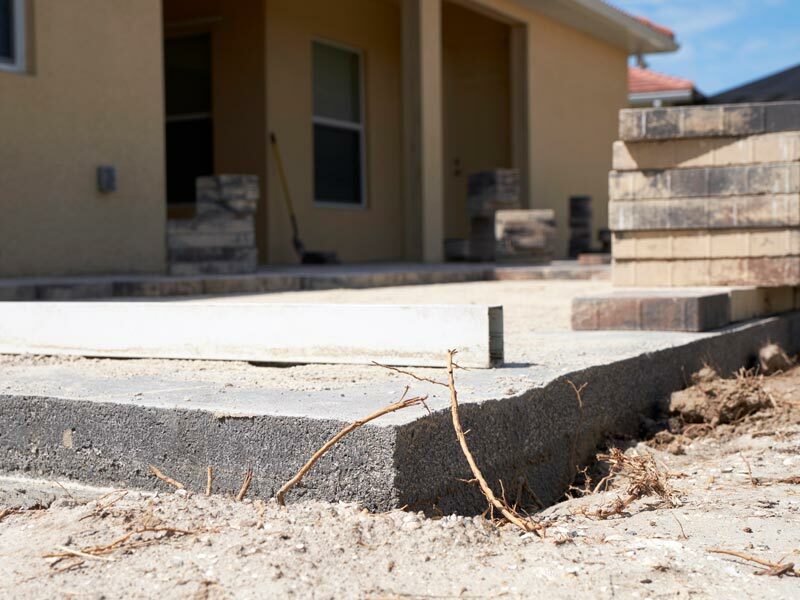 Footers are made with form boards creating an 8” x 8” spacing and reinforced with a floating steel bar. Stem Wall – used in conjunction with concrete pads and footers when the job site requires extra fortification or it is on a gradient slope. The experts at CRA will help you determine what foundation is best for you and guide you through all of your aesthetic finishing options. No two properties are completely identical so you will appreciate our recommendations based on 25 years experience. 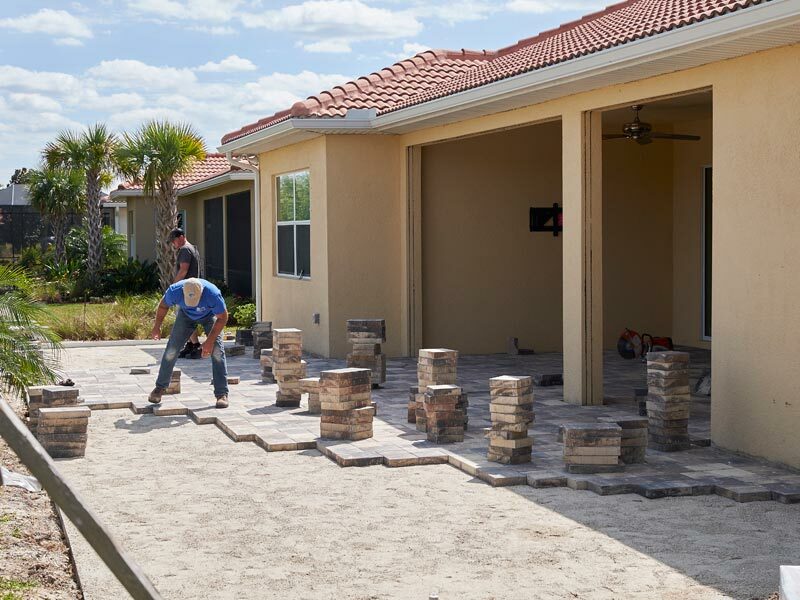 All phases of construction are under our roof so your project will be smooth and hassle free from start to finish. The following represents some of our popular options for your new, existing or expanded deck. 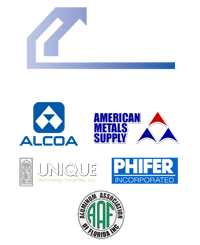 We utilize a variety of manufacturers for our decking to be able to offer you exactly what you are looking for. 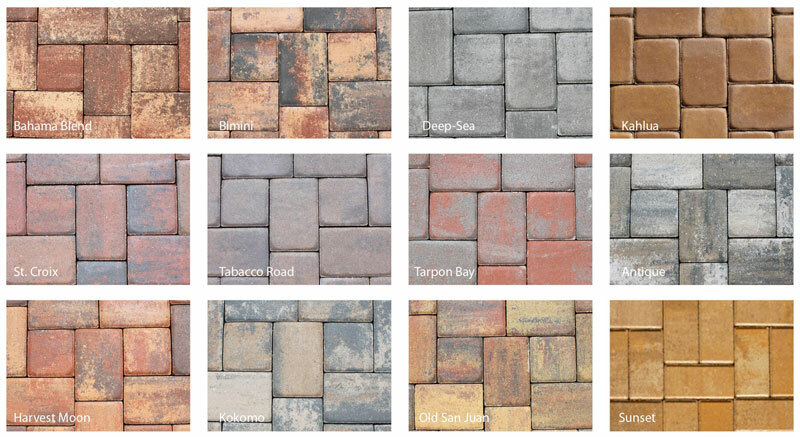 Our most popular supplier of pavers is Stabil, located right in Sarasota and central to our service area. This unique relationship affords some very economical logistics. 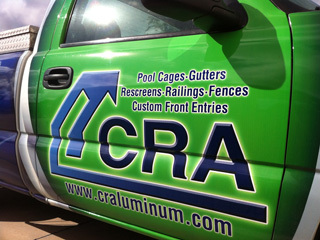 Call one of our carport specialists to explore you options and learn why CRA is the leader in Florida for everything aluminum in both residential and commercial construction. 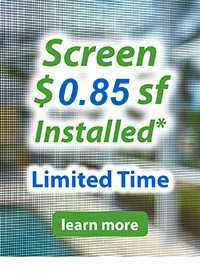 Superior products and expert service from industry experts doesn’t have to cost more. From Tampa to Naples, CRA has you and your favorite things covered!